Diljit Dosanjh-led ‘Arjun Patiala’, which was scheduled to release on May 3 in India, will now release on July 19. The film is co-produced by Bhushan Kumar and Dinesh Vijan under T-Series and Maddock Films. “Laugh riot with new release date coming your way! ‘Arjun Patiala’ to release on July 19,” Kumar tweeted. Directed by Rohit Jugraj, the film also stars Varun Sharma. 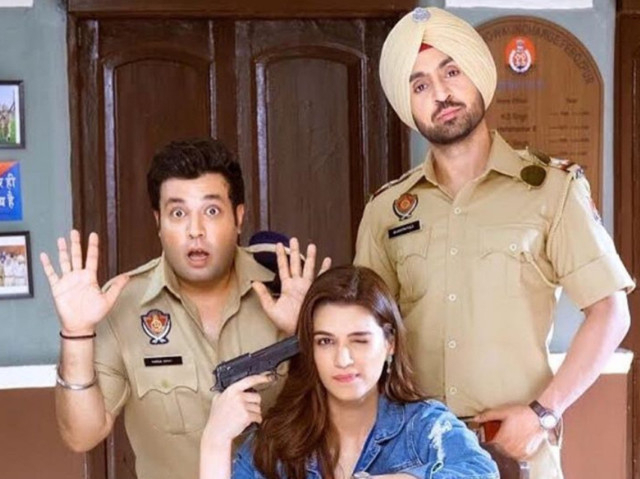 Dosanjh and Sharma will be seen as police officers while Kriti Sanon will play the role of a journalist. The film will now clash with Sunny Deol’s directorial ‘Pal Pal Dil Ke Paas’, which will be his son Karan’s Bollywood debut.